The 2014 College Acceptances are In! 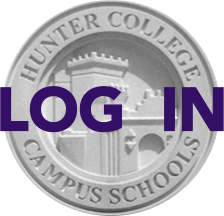 All 187 of the graduating Hunter College High School seniors will be attending college, according to Colleen Hennessy of the school's Counseling department. College acceptances for the Class of 2014 are in line with previous years' statistics, according to the college guidance office, despite the widely reported increase in competitiveness this past year at the most popular colleges and universities that Hunter students applied to. For a detailed breakdown of acceptances, waitlists and denials, read the full list here. There's also the guidance office's analysis and commentary in the May 21 PTA meeting notes, which you can download here.